Dr. Anil K. Gupta is widely regarded as one of the world’s leading experts on strategy, globalization and entrepreneurship. Ranked by Thinkers50 as one of the world’s “most influential living management thinkers,” he has been named by The Economist as one of the world's "superstars" in a cover story on "Innovation in Emerging Economies." 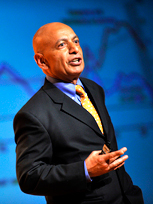 The UK-based HotTopics has also named him as one of the world’s “100 most influential professors of entrepreneurship.” Further, he is one of only 3 professors in the world to have been elected by his peers as a Lifetime Fellow of the three most prestigious bodies in the field – Academy of Management, Strategic Management Society, and Academy of International Business, with a combined membership of over 25,000 scholars worldwide. Anil is the author, coauthor or coeditor of several highly acclaimed books including The Silk Road Rediscovered (Wiley, 2014), Getting China and India Right (Wiley, 2009), Global Strategies for Emerging Asia (Wiley, 2012), The Quest for Global Dominance (Wiley, 2008), Smart Globalization (Wiley, 2003), and Global Strategy and Organization (Wiley, 2003) as well as over 70 papers in leading academic journals. Getting China and India Right received the 2009 Axiom Book Awards’ Silver Prize as one of the world’s two best books on globalization/international business and was short- listed for the Asia Society’s Annual Bernard Schwartz Book Award. Anil is an elected member of the board of directors of Origene Technologies (a gene cloning company). He has earlier served on the boards of Omega Worldwide (NASDAQ), Vitalink Pharmaceutical Services (NYSE), NeoMagic Corporation (NASDAQ), and TiE-DC, the premier organization of entrepreneurs and VCs in the U.S. Mid-Atlantic region. He also serves on the advisory boards of the E-Ship Centre at IIT Bombay, Asia Silicon Valley Connection and India Globalization Capital. 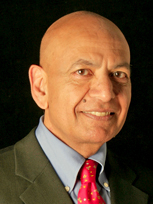 He has also served as an advisor to the US-India Business Council.